I’ve blogged since I was 15 years old, in just under a months time I’ll be 22. A lot of people ask me when I mention I run a blog whether I earn money from it, whether it’s my ‘full-time’ job and I thought I’d put some of these answers at bay. I started my blog while I was studying for my GCSE’s. I’d much rather bury my head in a copy of Elle magazine rather then studying. I found that Elle magazine wasn’t very relatable to the teen (early twenties) bracket. Little after this my Uncle moved away and started a holiday blog, after looking forward to every new post here wrote I found myself searching ‘fashion blogs’ on Google and there was a lot in America but none really that I found in the UK. Fashion-Train was born. Since the day I began Fashion-Train, I’ve completed my GCSE’s, A levels and my degree. So why isn’t blogging my full time job? Surely I’ve built my blog up enough by now? Well since when I was 15 and began fashion-train, blogging has developed into its own industry and it’s a very competitive one at that. 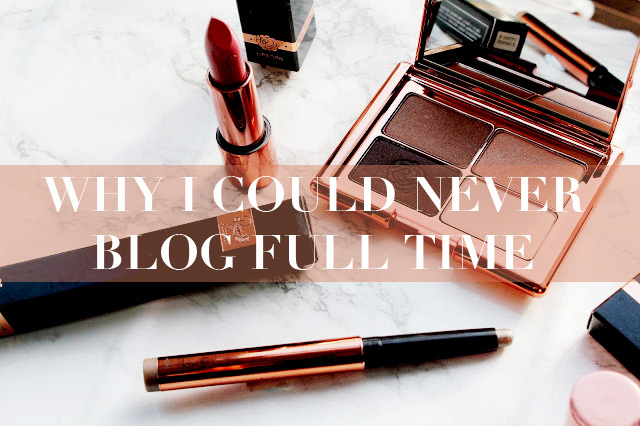 I have always enjoyed blogging and probably always will but over time I’ve realised I can’t do this full-time. I am so glad blogging is something people can do full-time but I don't feel like it's for me. Why do you ask? 1. I’ve not got a huge following on Instagram and a ‘perfect’ Instagram theme – I’ve always loved photography but the big trend at the moment is a perfect Instagram feed of over edited photos, selfies, perfect white backgrounds. 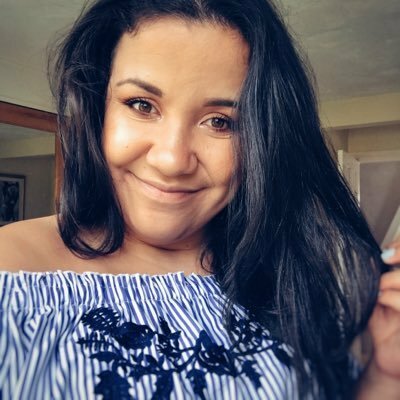 I don’t have a perfect white background to photograph, or a camera that can upload straight to Instagram, all my photos are taken on my iPhone 5s! 2. I always end up comparing myself to other bloggers and wondering why my little space on the Internet isn’t as popular as other blogs. I love seeing other bloggers do well but I can't help but think why mine hasn't done just as well considering I've been blogging for so long! 3. I don’t have the fancy equipment – I use one camera and my kit lense and as much as I’d love to have x amount of cameras that’s just not within my means. 4. I never got into Youtube – I love watching Youtube and so many bloggers have managed to make a career from video blogging and hats off to them for it, but it’s never been something I thought I could do. With Youtube income is more guaranteed, you'll earn money per video (through advertising etc) but with blogging 9 times out of 10 you won't earn a penny for every post you write. 5. I don’t live in London – Occasionally an exciting opportunity will land in my inbox and there is always a hidden catch, it’s in London. I live a £50 train journey away and as much as I’d love to travel to London for every event I’m invited to, it’s just not feasible. 6. It's too time consuming - If someone gave me £1 for every hour I've spent on my blog I'd nearly have enough money to become a millionaire. Blogging is incredibly time consuming and can consume your life (literally). Even after 7 years it takes me a couple of hours to draft/edit/photograph and edit again each post and then there's scheduling it on Twitter, Instagram photo to go along side it etc. I believe a blog isn't just a 'blog' anymore it's a lifestyle. You want to follow that persons life and everything they do and my life (probably) isn't that interesting! Blogging to me will always be my hobby that occasionally I’ll earn a few pennies from and I’ll love it for that. Who doesn’t want to earn money from doing something they love? I can go months and months or earning not a single penny on my blog and I’ll write my blog because I love it and I hope it stays that way. Who knows I may even change my mind about blogging as a job full-time! Could you ever blog full time? Do you see your blog as a future career option for you? Im the same I couldn't blog full time, I just don't want to. I think I enjoy doing it as a hobby, I started mine two years ago when I was in a accident and had operations and haven't been mobile. Im starting to get mobile now but I just enjoy blogging for me. I'd love to blog full-time but right now that's not feasible, plus I hate how it's all about stats. That's too much stress! I do want to be a freelance writer but the problem is the lack of stability. I like the idea of being my own boss but I'd rather have a job so that I'm certain that I've got a guaranteed paycheck coming in every month. I started my blog as a hobby, and while I've received some fantastic opportunities from it, I'd rather keep it as a side thing. I'd rather have a career and a blog alongside that. I think that's better because at least I'd get the best of both worlds! ALSO: my Instagram isn't perfect, and I don't even have a theme - and I like it that way. I don't have a fancy camera - I use my smartphone to take photos. I could never blog full time. I tried it last year whilst building FBL Bloggers and as an extreme extrovert, who loves being around people all the time I was bored. I want to blog when I want to, not as my main income driver..it takes ages and I have other projects I love to do.